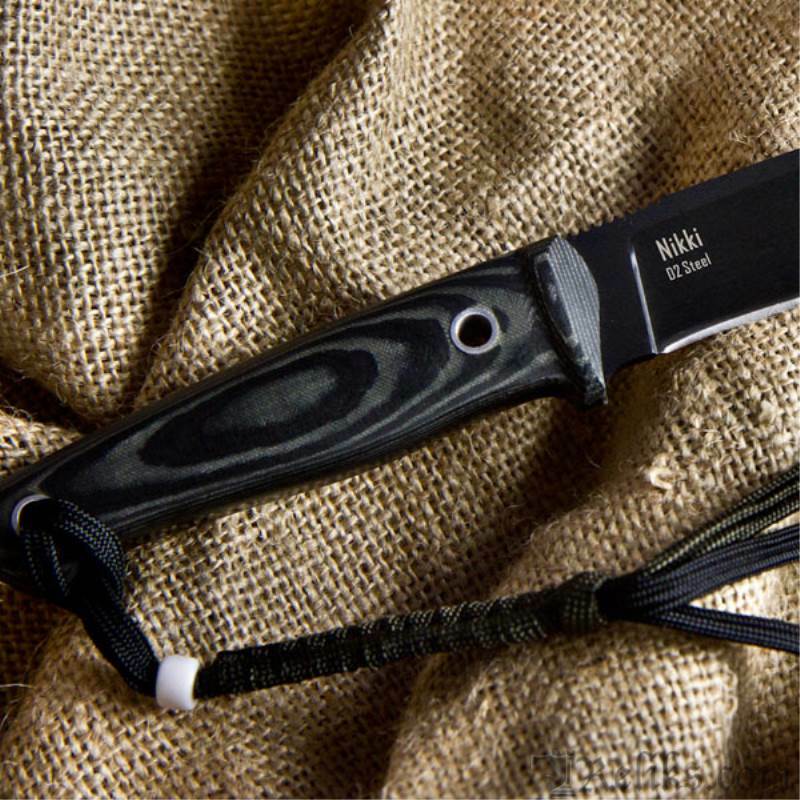 Nikki is an all-purpose knife, which can be used for a variety of tasks, including bushcraft, camping, hunting, etc. It has a traditional blade design with a nice wide belly (sweep). 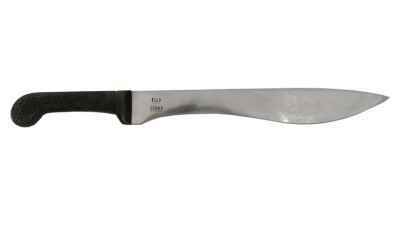 This type of blade is ideal for carving, cutting through tough material (e.g. rope, fabrics etc.). This design is also good for skinning and meat preparation by hunters. Although this knife is reasonably small, it is mighty tough. The 4mm thick, full tang blade is made from high grade D2 steel, which offers a good balance of toughness, edge sharpness and corrosion resistance. 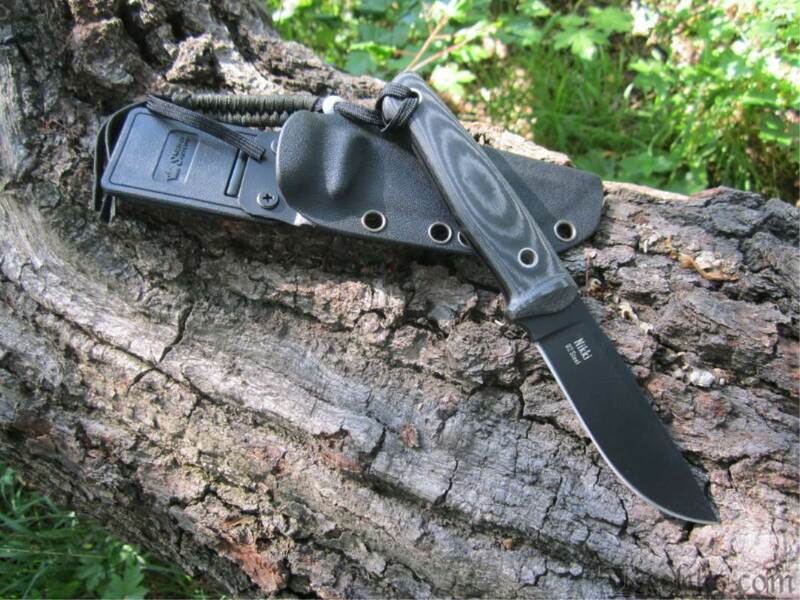 The Kydex sheath has a rotatable and removable clip that accomodates high and low carry positions. 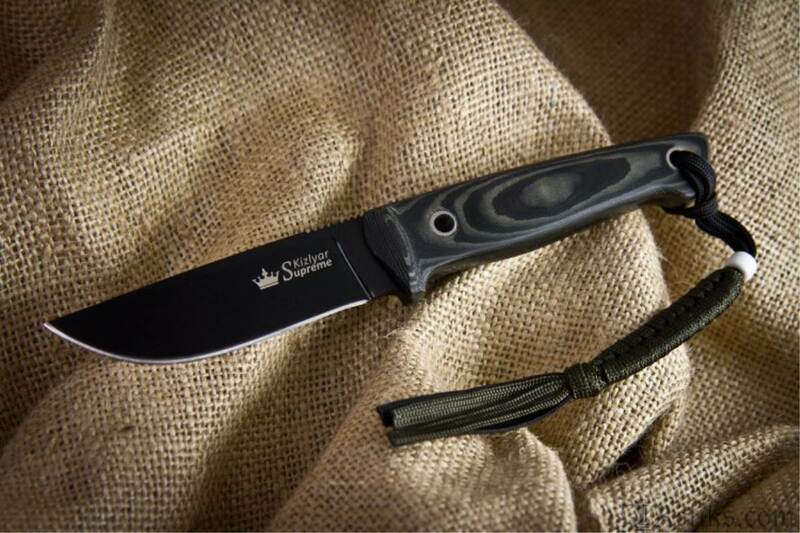 Kizlyar Supreme is a Russian knife manufacturer based in St. Petersburg utilizing the highest tech processes and materials available today to produce superior performance knives. 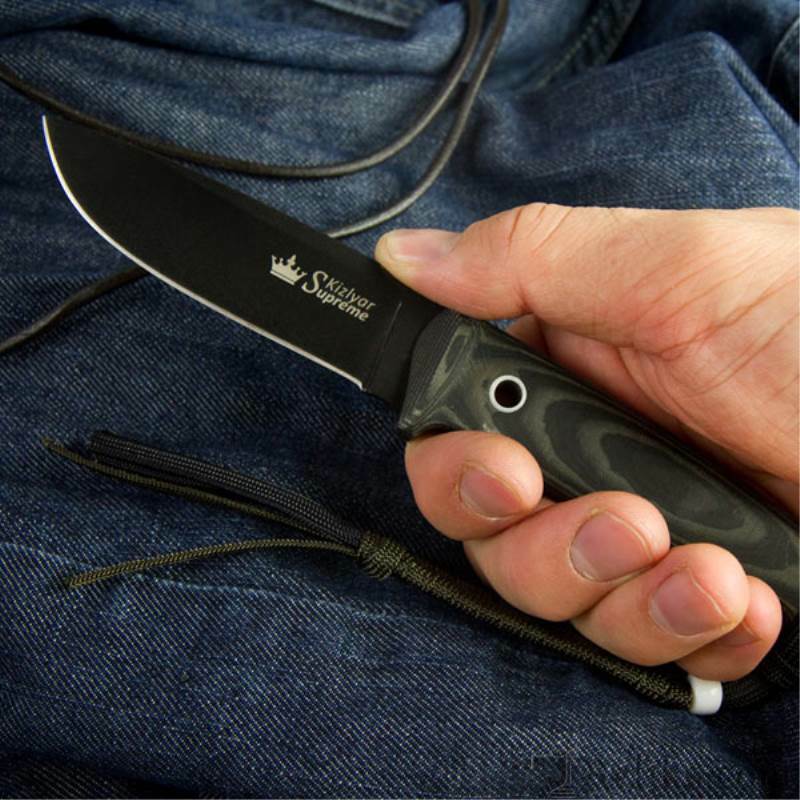 They have been making substantial waves in the knife industry in Russia, Australia and Germany through innovative design and exceptional build quality at a fair price. 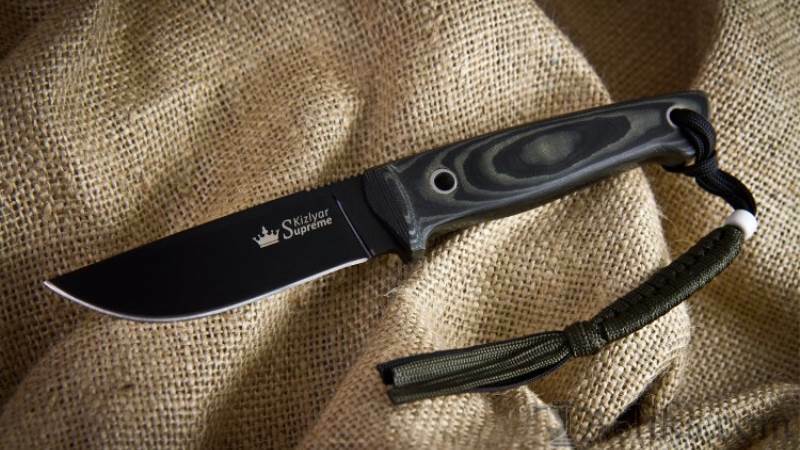 Kizlyar Supreme Russian Knife - The Kydex sheath has a rotatable and removable clip that accomodates high and low carry positions. 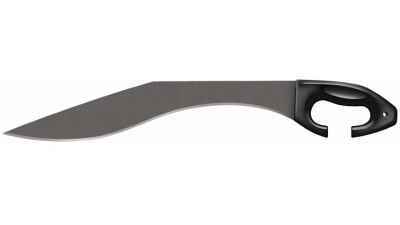 Kizlyar Nikki Knife - Handle slabs are made of black-gray micarta and pinned to the tang with stainless steel tube fasteners. Nikki D2 Micarta Scales - Ergonomic Micarta Handle Slabs on the Nikki D2 Knife. 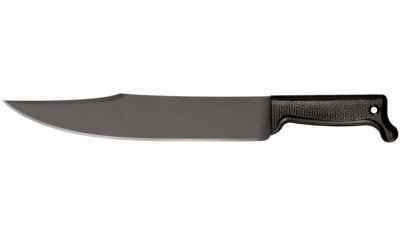 Nikki D2 Knife - Nikki D2 Knife with black titanium blade coating. Blade Thickness at Guard: 5/32"
Bead colour on lanyard is random and not selectable.